All you runners, join us for this great annual event! This is a great multi terrain course with stunning views of the countryside. 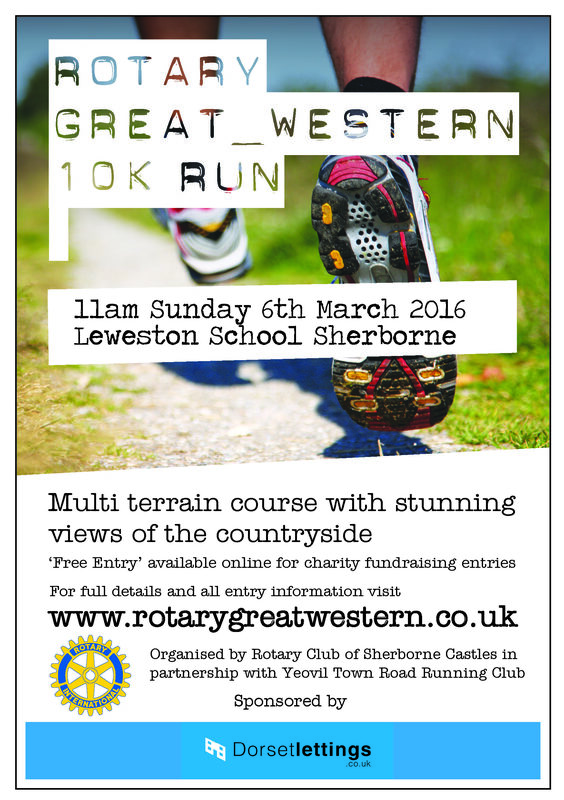 Organised by the Rotary Club of Sherborne Castles in partnership with the Yeovil Town Road Running Club.